Techart tuning house unveiled to the public their vision for Porsche Panamera. The package developed by Germans is called Black Edition and comes with aerodynamic improvements. 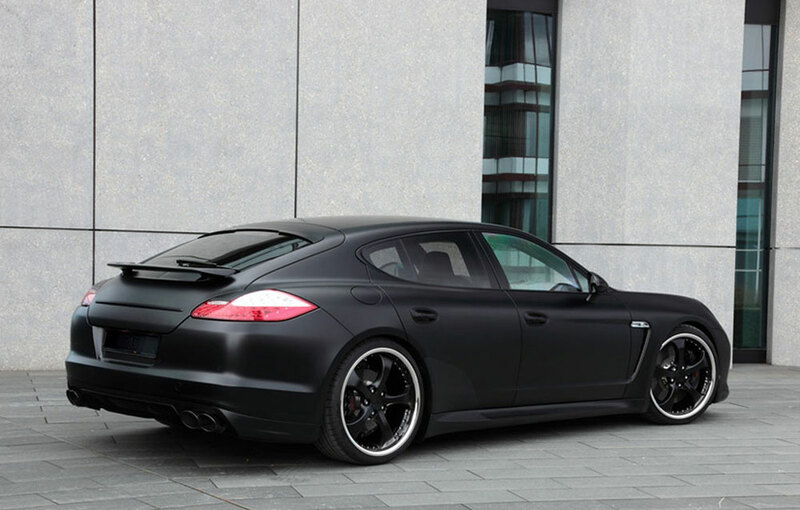 Tuners fromt Techart have presented their new creation, namely Porsche Panamera Black Edition. Besides the body, painted matte black, the German model received also the aerodynamic kit I of the tuner. At exterior, Panamera received redesigned headlights, a new bumper for the front, side skirts, a rear spoiler and a sport air deflector for the rear. For the exterior tuning to be complete the tuners from Techart mounted Formula II light-alloy wheels measuring 22 inches. 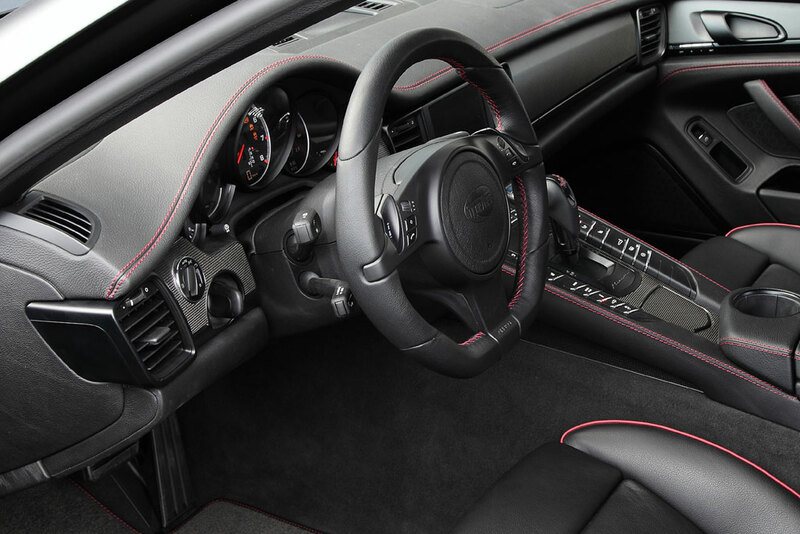 Inside, the Black Edition features high quality leather, sports seats, a PDK Techart steering wheel and carbon fiber inserts. Tuning house officials were “greedy” in terms of technical details for the Black Edition. Following changes made, Panamera’s engine delivers 500 horsepower and can accelerate to a maximum speed of 303 km/h. 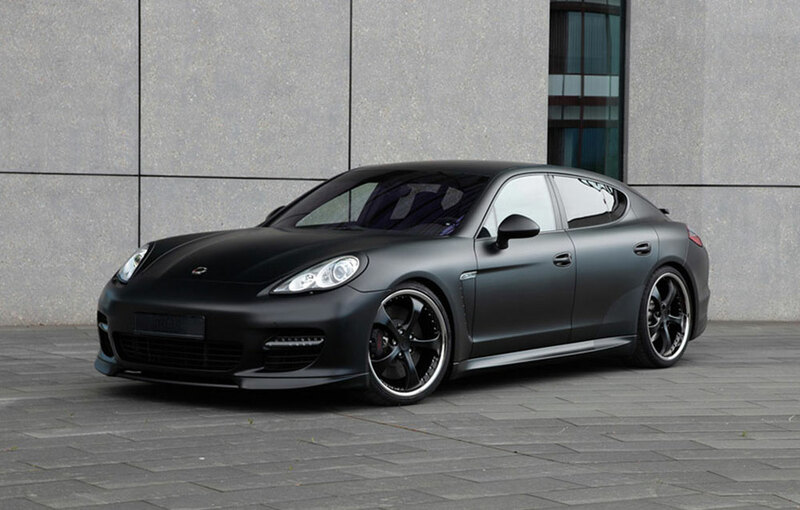 The price for Porsche Panamera Black Edition is around 220,000 euros.